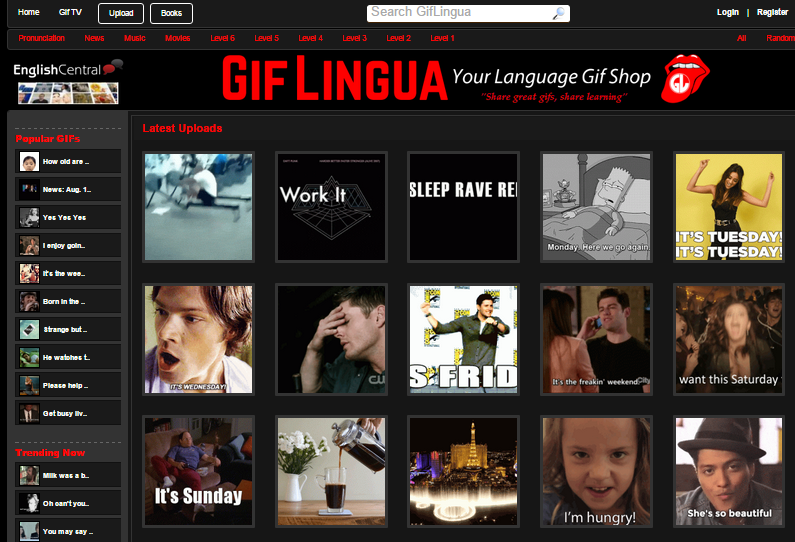 Gif Lingua Gets Going …. I’m working hard with developers and content editors to build Gif Lingua – a platform harnessing the enormous power of gif images as a “learning object”. Sign up for private beta access. Teachers will be able to instantly make gif books and download as powerpoints to use for instruction in class (or just use the online book with voice). Select from hundreds of pre-made Gif Books (giflets) that are in levels and handy categories. View all our gif videos including weekly news on Youtube. Follow us on Twitter. Here’s what the roll out plan is. 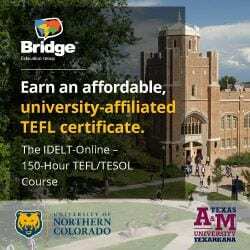 – Gif Lingua site. Scroll and find gifs for learning or teaching. Basic functionality. Spoken gifs. English gifs. 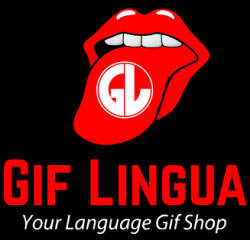 – Gif Lingua iOS app. Simple tinder like app. Learners scroll through fun spoken gifs and select “Yes” (I know it) or “No” (I don’t understand/know it). No gifs recycled and shown to students by space timed interval management. Students gain points as they view gifs. – Gif Books. 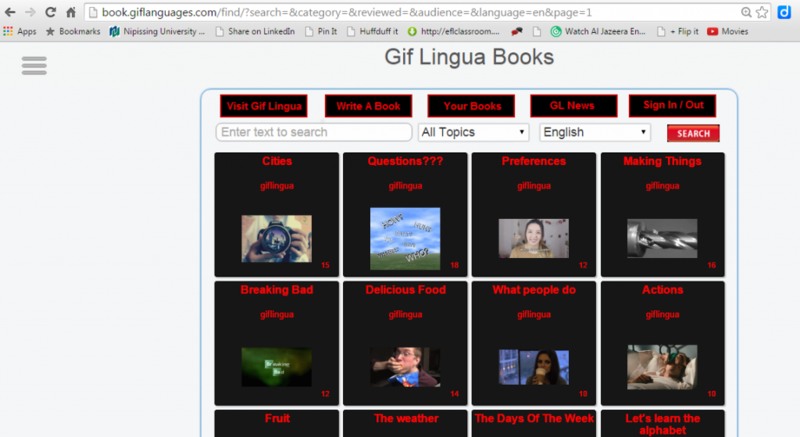 Students can view large collections of spoken gifs in book form. Teachers can make books and download all books as a ppt to use offline in class. Share online, embed the gif book. Make books in many languages. – Gif Lingua quiz. Flip each gif and test your knowledge of it! Add it to your collection and study as a flashcard set. – Gif Books. Teacher’s LMS. Teachers invite students and assign gif books. Track their reading through a point system. Each book to have a final quiz after student reading and study. Teachers get report of student achievement. Teachers can make their own class collection of books “giflist” and assign to students. – Gif Lingua. Speak the lines in each gif. – Courses. 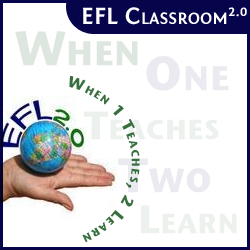 Take a leveled course and work your way through to achieve fluency with fun gifs. I’m looking forward to teachers providing feedback and listening to professionals and what their curriculum needs are. Gifs make outstanding learning objects – but it’s also key to properly deliver them for study! Here’s what the book site looks like so far.